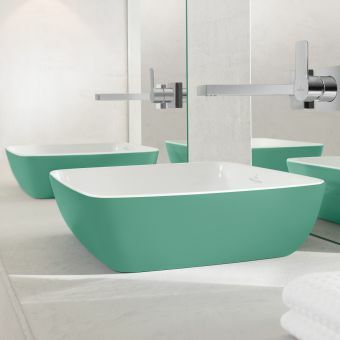 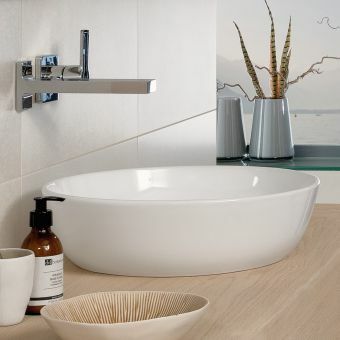 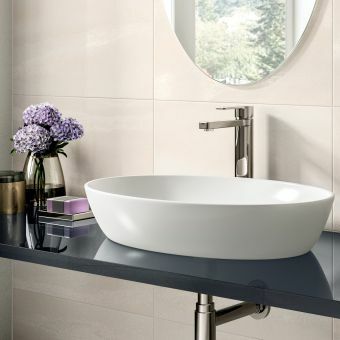 Fully embracing minimalist design, this visually stunning basin mimics a large sea shell washed up on the shoreline. 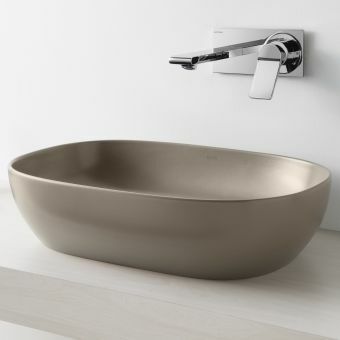 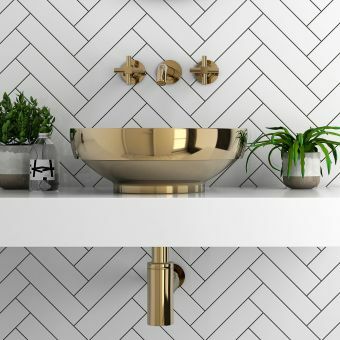 Not a single straight line is to be found in the design of this extraordinary bowl from AXOR and when installed into a countertop, it will become the centre of attraction in any bathroom situation. 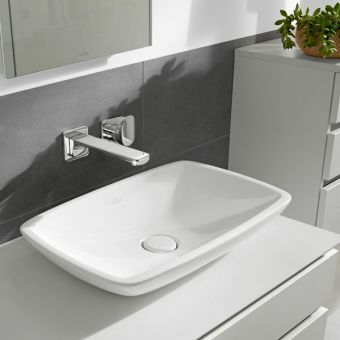 Supplied in two widths of 600mm or 800mm, it is generous in size and features. 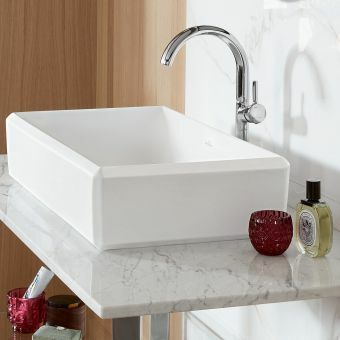 The AXOR Massaud Countertop Bowl will need a tall mixer to reach over its sides and fill the bowl and the Massaud Tall Basin Mixer is the perfect partner. 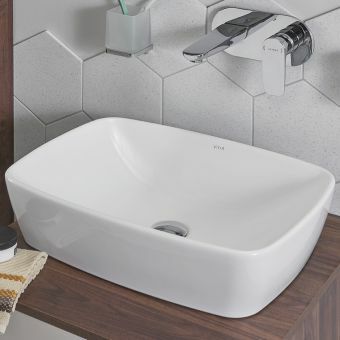 Standard wastes cannot be fitted due to it not having an overflow but the option to include a sparkling chrome free-flow waste is included here. 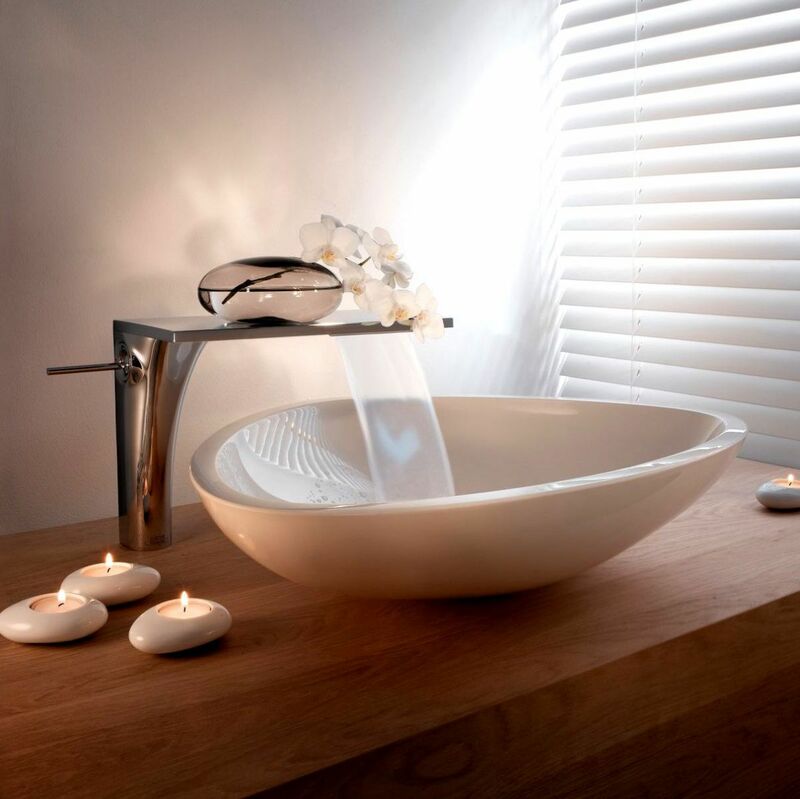 This dramatic bowl is made from scratch-resistant Mineral Cast making it light and tough with the added bonus of thin edges for a luxurious refined look.